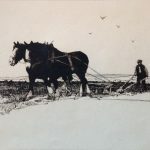 Yorkshire born artist Storey moved to Scotland aged approx. 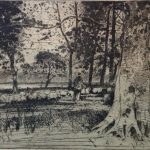 10 with his mother and siblings following the death of his father in 1898. 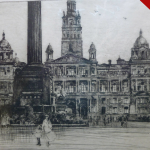 He studied art at the Glasgow School of art and on completion of his studies he initially secured employment as a designer. 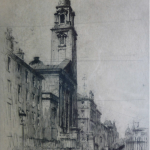 Having joined the Glasgow art Club Storey was awarded the Gertrude Annie Lauder Prize – an award/fund designed to support young artists. 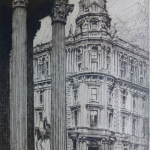 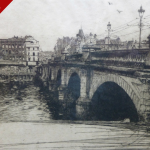 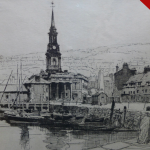 In 1912 his etching of “297 Virginia Place” was accepted and displayed in the Royal Glasgow Institute of Fine Arts annual exhibition. 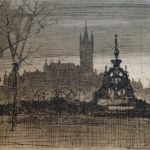 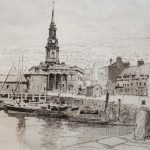 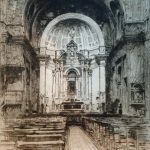 In the years to come a further 119 works by Storey were accepted by the Royal Glasgow Institute of Fine Arts and some 38 works by Storey were exhibited at the Royal Scottish Academy. 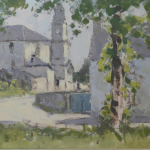 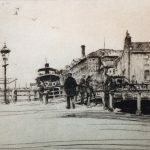 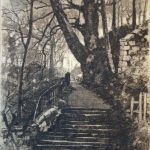 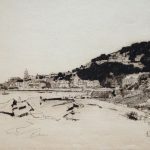 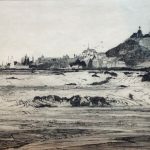 Storey worked in watercolours, oil paintings and etchings often depicting landscape and cityscape views.